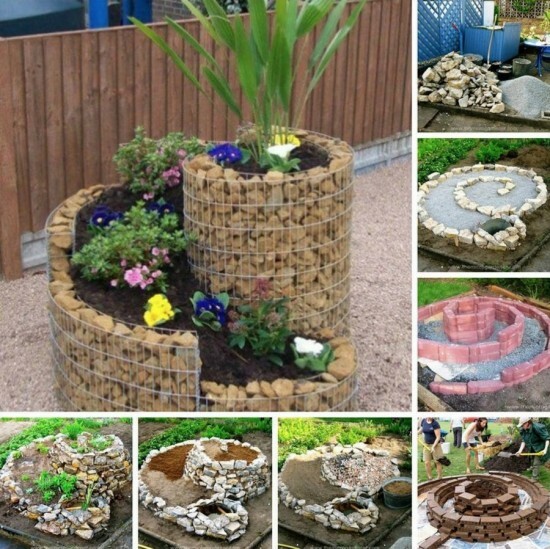 Many people seem to be interested in herb spirals, and rightly so if done properly they need little maintenance and can keep you in herbs all year round. 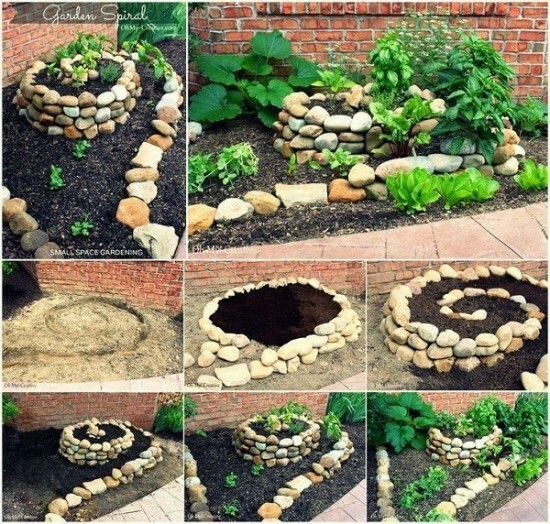 Unlike a flat garden, an herb spiral is in three dimensions. The high spots get the most sun and have the best drainage, making it ideal for plants — such as oregano or rosemary — that thrive in sunny, well-drained sites. The bottom of the spiral, of course, is the right place for plants that like more moisture and some shade, such as comfrey. Plants planted along the eastern side of the spiral will get shade after noon, while the plants on the west side will take the brunt of the afternoon sun. 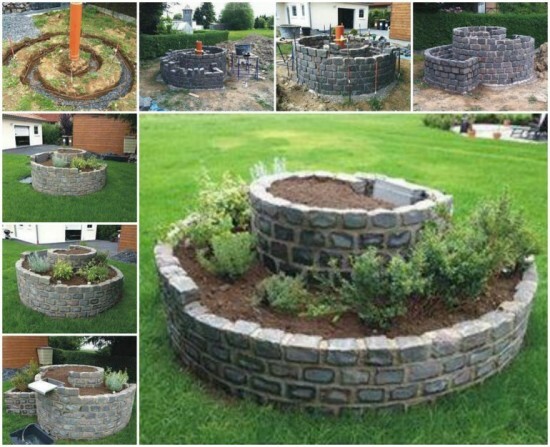 Do you want to make your own vertical herb spiral garden?